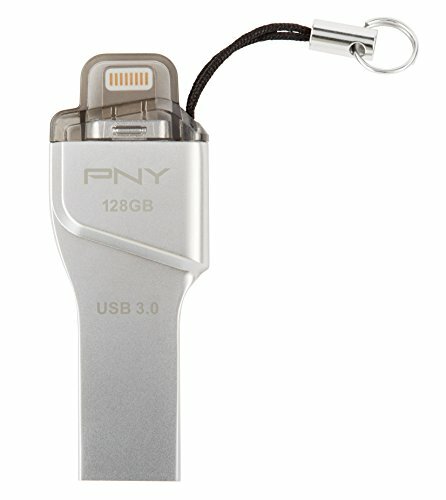 PNY duo-link OTG USB 3.0 Flash drive for iPhone and iPad allows you to store and transfer content between your Apple devices, Mac and PC and stream content from the drive quickly and easily. No cable, wireless connection or charge is needed. Its sleek, metal design is ideal for on-the-go.